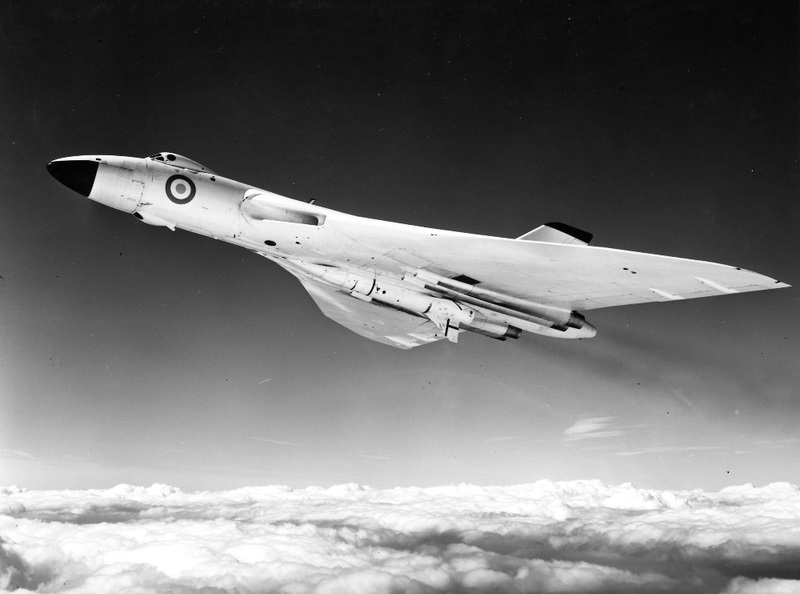 Even as the first B1s were entering service, Avro was already working on the development of a second generation Vulcan, equipped with more powerful versions of the Olympus and capable of greater range and height. 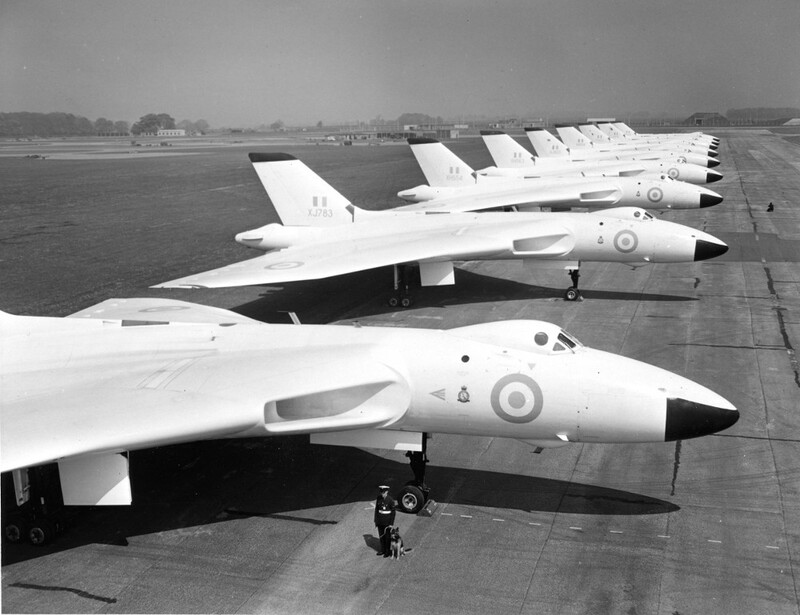 These improvements were essential if the V-Force was to keep one step ahead of the Soviet defences, who were continually being re-equipped with better fighters and more potent SAMs. 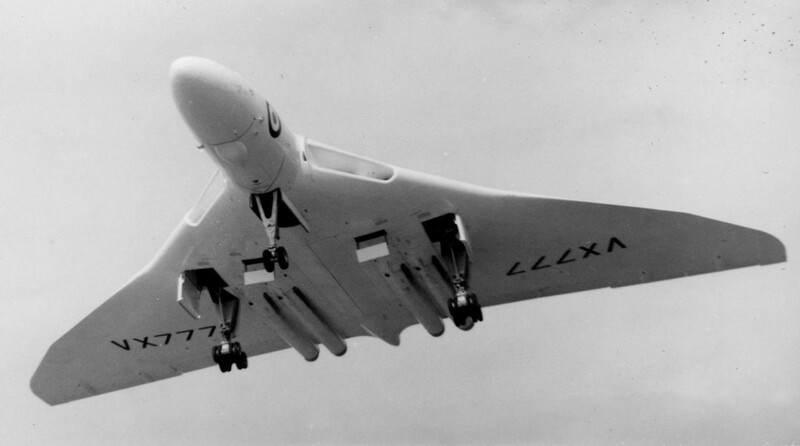 The new Vulcan, the B2, featured a redesigned wing, the span being increased to 111 feet, and was fitted with a new range of electronic countermeasures (ECM) equipment to ‘jam’ Soviet defensive radars. This was housed in an extended fairing in the rear fuselage. 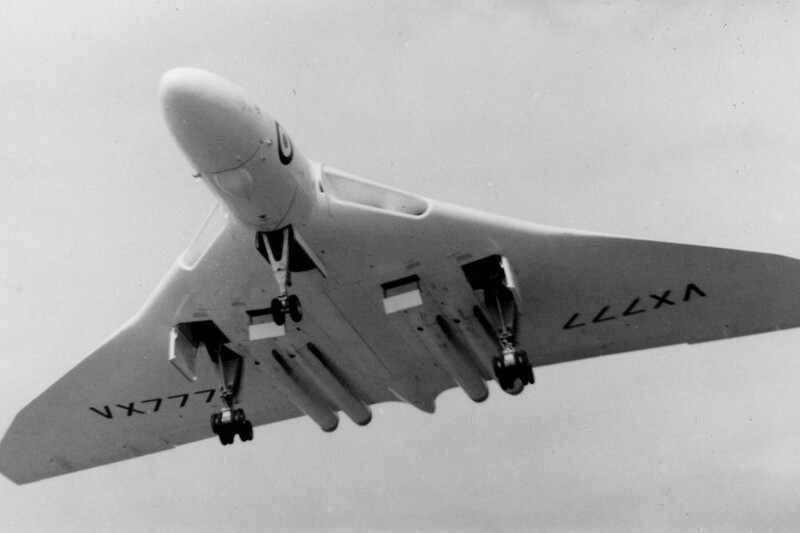 Later on, this ECM equipment was retrofitted to a number of Vulcan B1’s, these aircraft being re-designated as B1As. 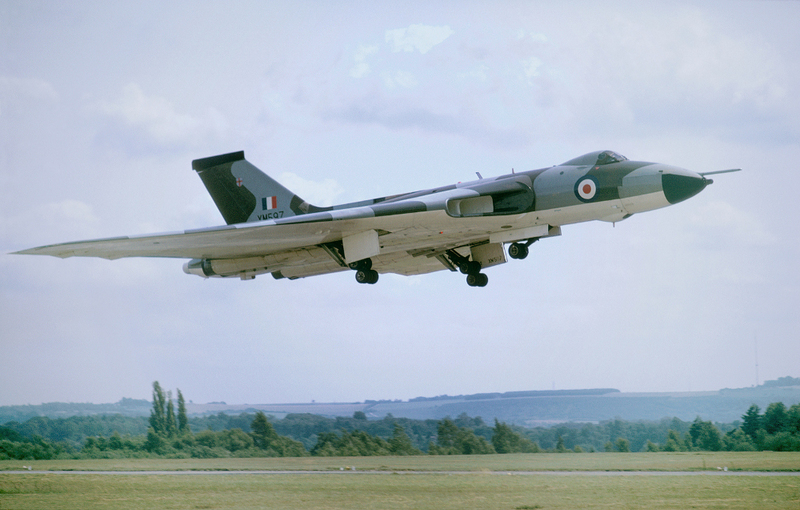 The prototype Vulcan B2 made its first flight on 4 March 1959, the first operational squadron forming at RAF Scampton in 1960. 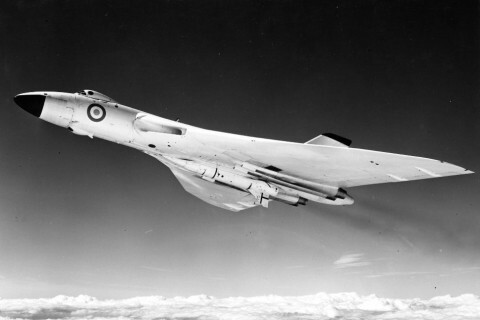 The B2 could also carry a new ‘stand-off’ missile, developed by Avro, called Blue Steel. Powered by its own rocket engine, Blue Steel could be launched at a range of over 100 miles from its target. This meant that the launch aircraft was no longer faced with the dangerous prospect of flying directly over its target. 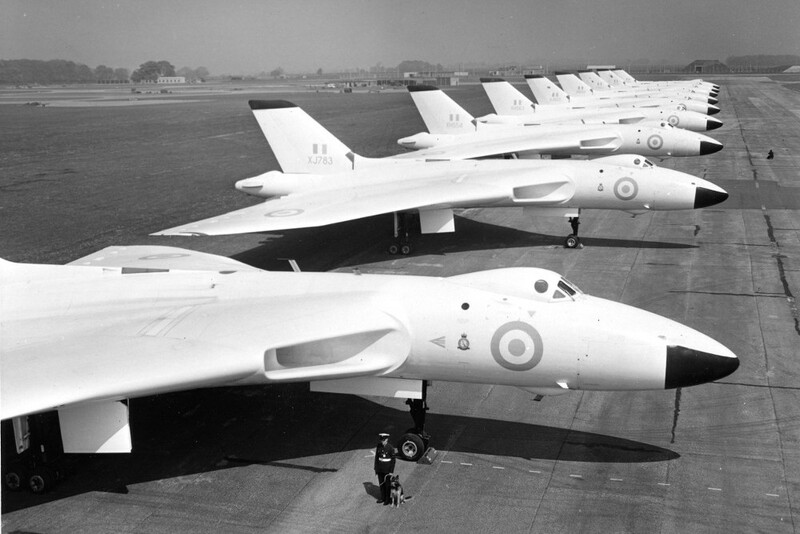 Blue Steel became operational with the V-Force in 1963 and equipped the Vulcan squadrons at RAF Scampton, whose aircraft had to be specially modified to carry the new missile.